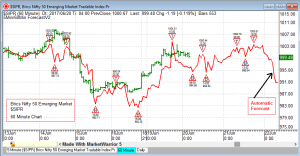 MarketWarrior (5.2018.10.2) – upgrade is available for download on the Owner’s Page. 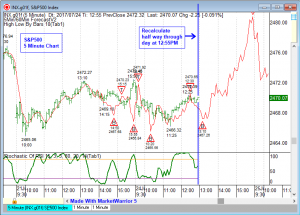 This version is also available on the 30 day free trial page. 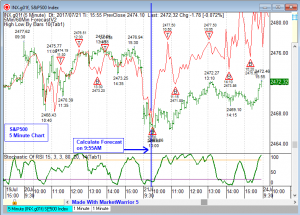 This version has added support for Quandl data service. 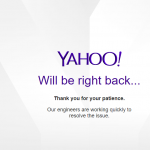 Read about Quandl here. 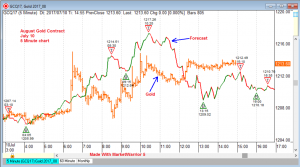 If you own MarketWarrior 5 the upgrade in on the Owners Page. 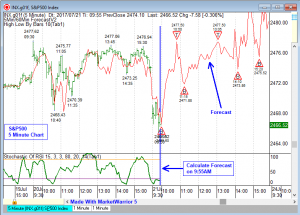 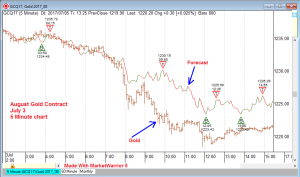 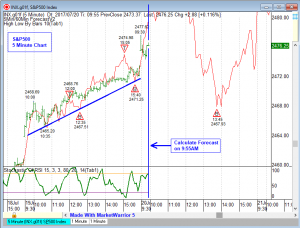 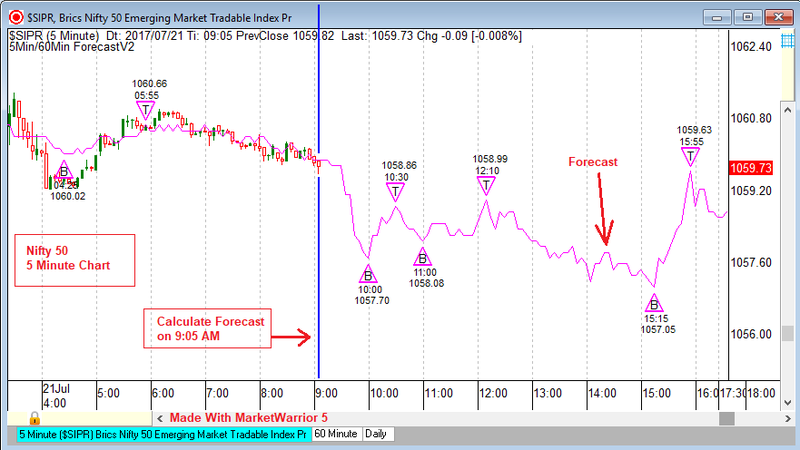 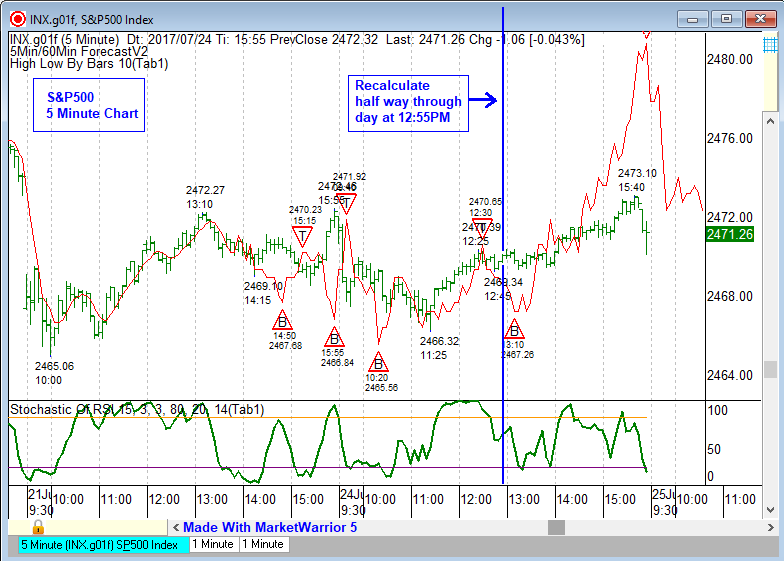 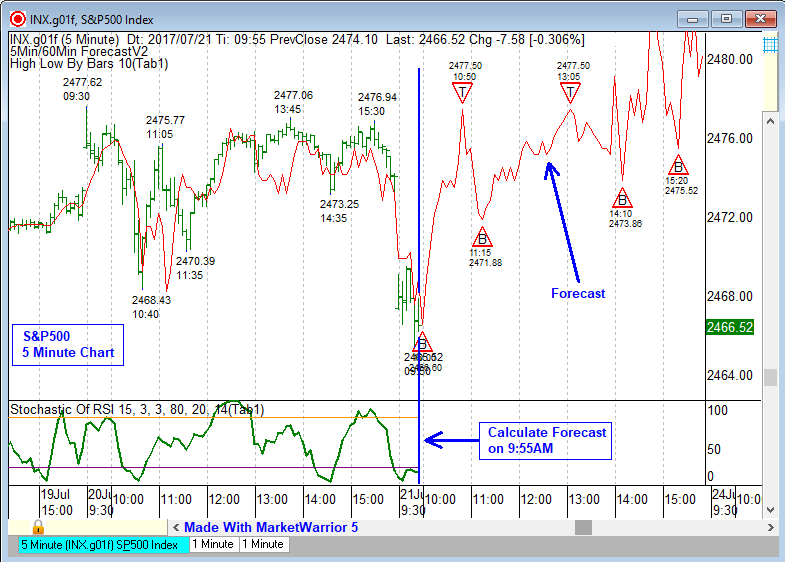 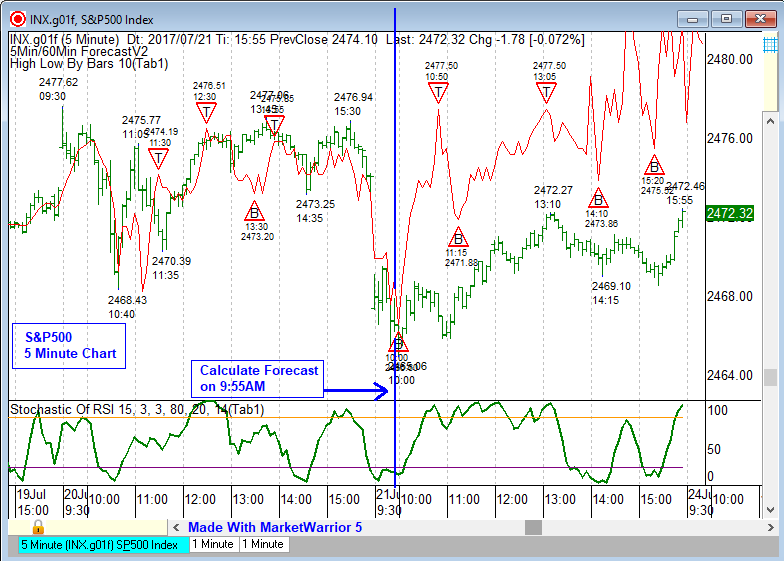 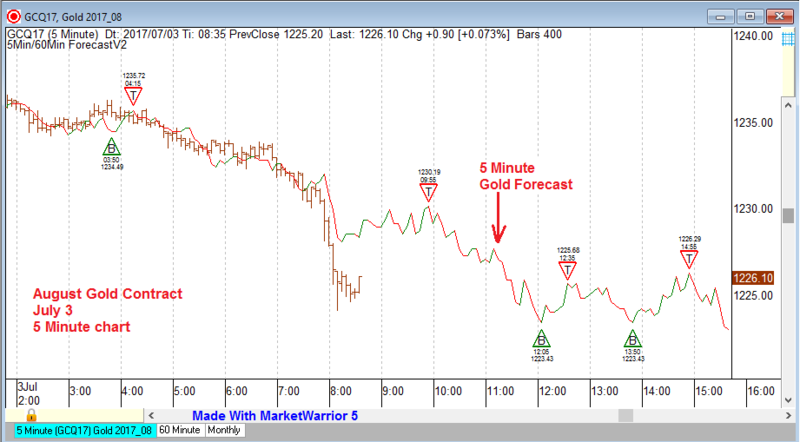 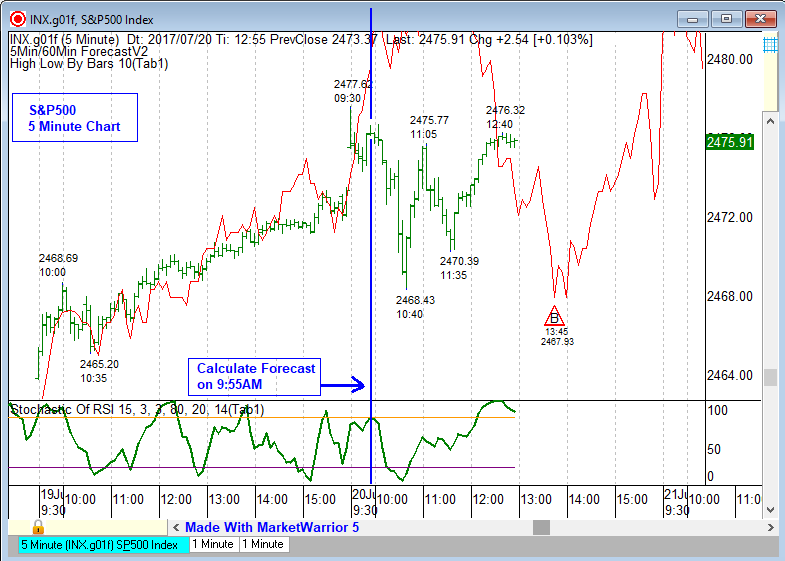 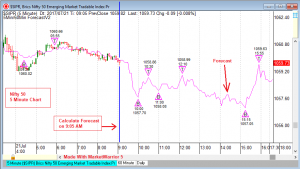 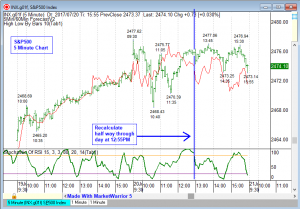 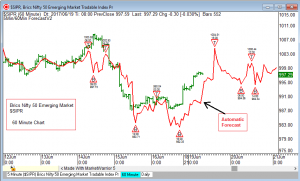 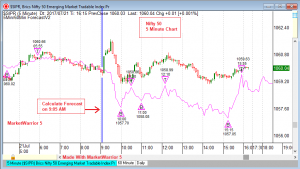 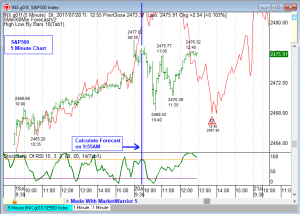 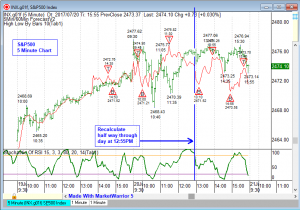 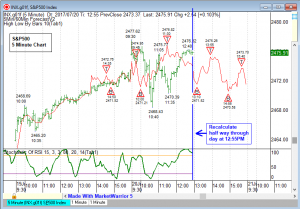 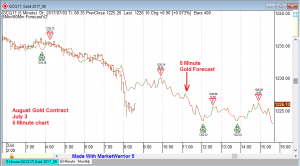 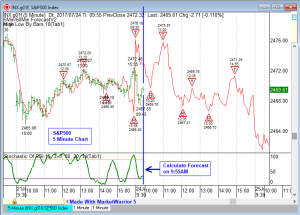 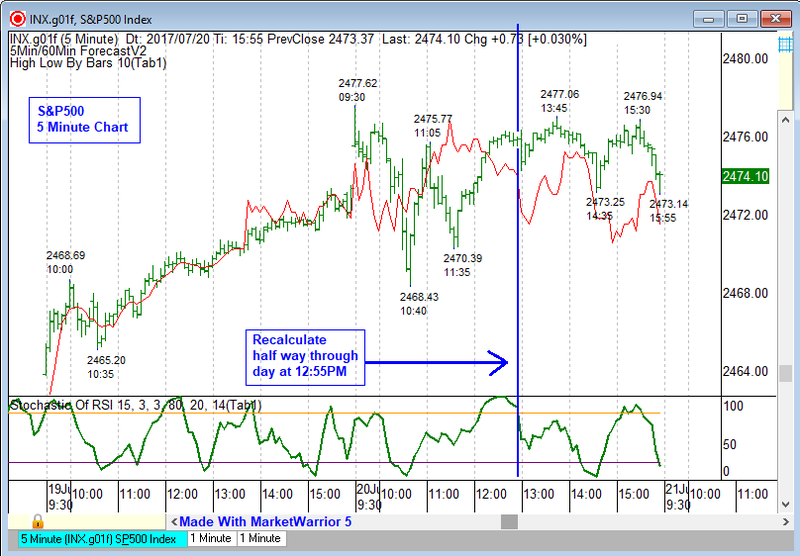 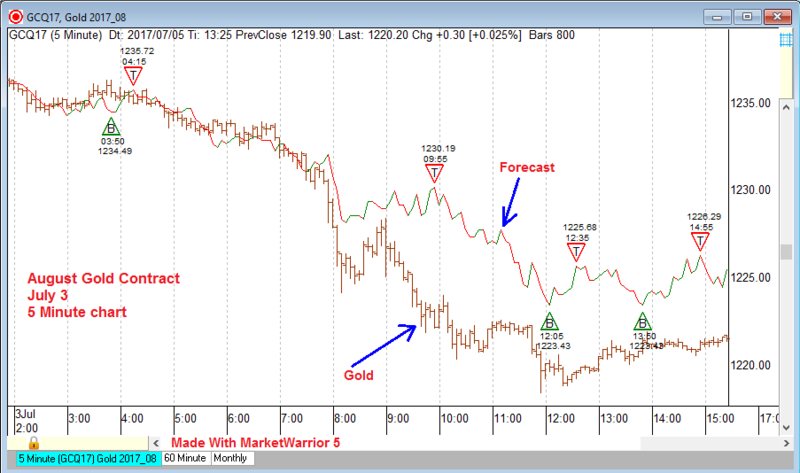 MarketWarrior 5 has a updated version of the forecasting tool for the 60 minute chart. 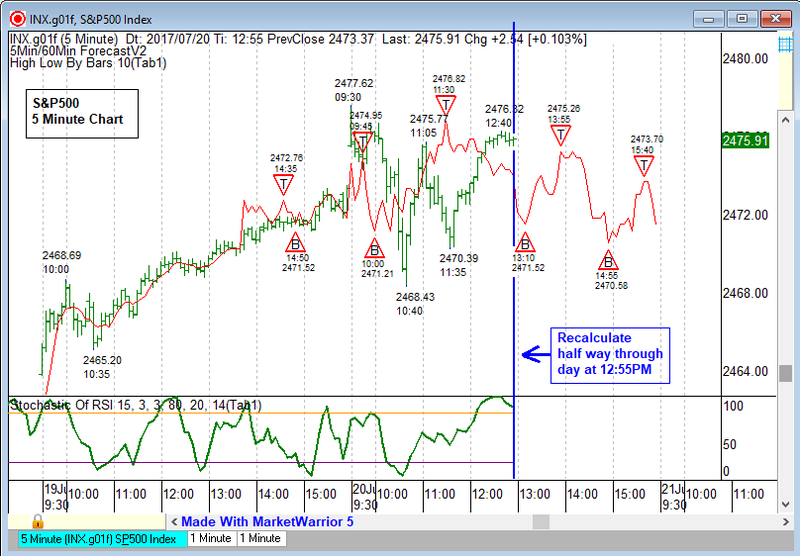 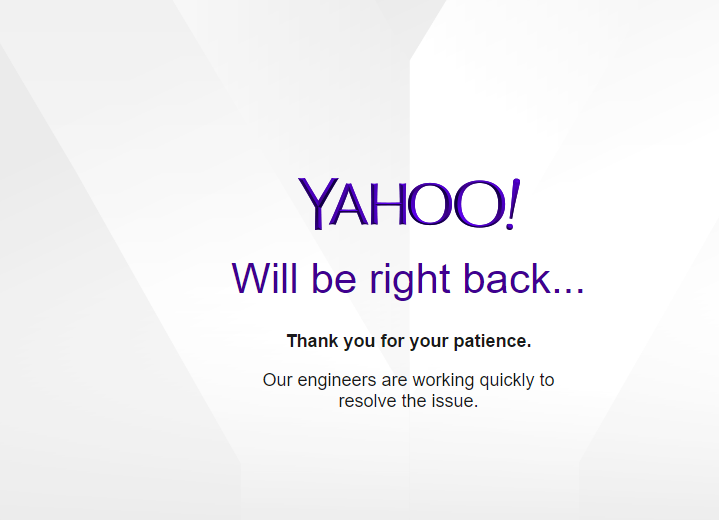 The new version should work better with international stock indexes and individual stocks. 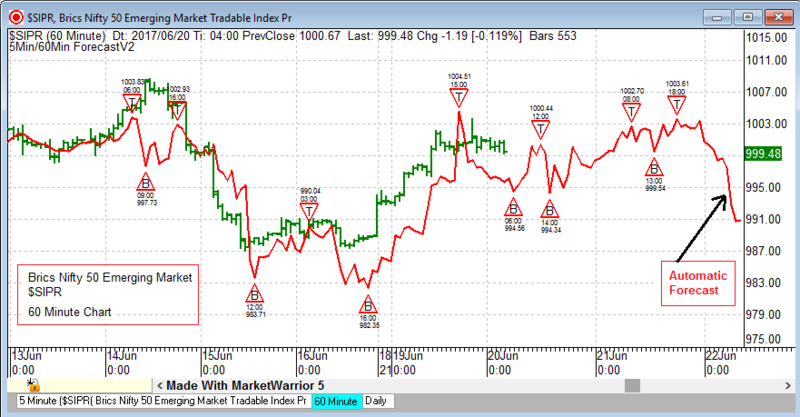 On the charts below I will take a look at the symbol $SIPR from Barchart.com. 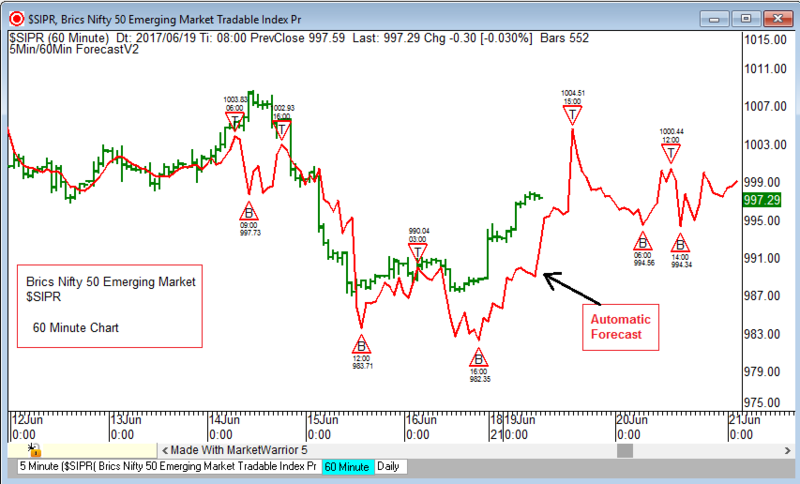 This is listed as Brics Nifty 50 Emerging Market Tradable Index. 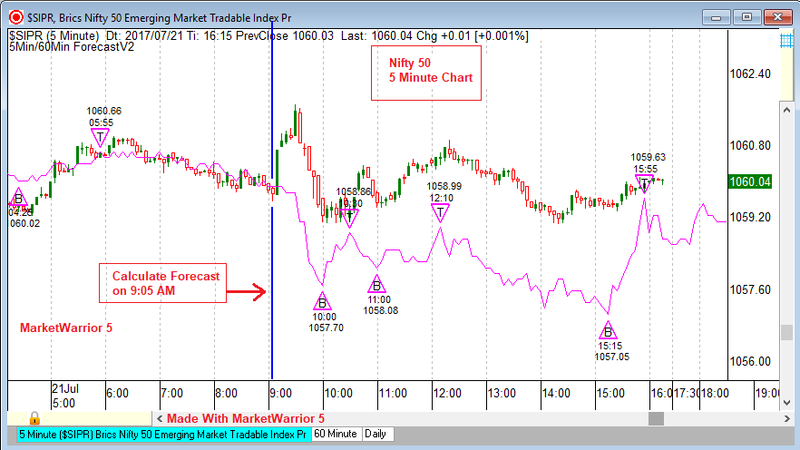 This is a variation of the Indian stock index NIFTY50. 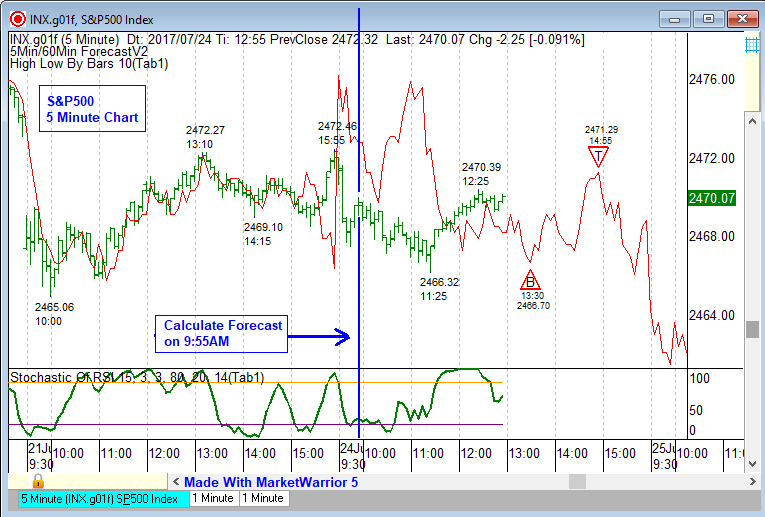 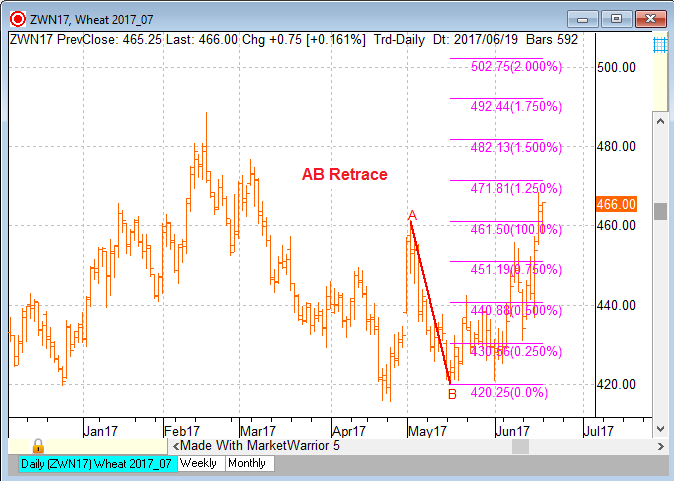 The chart below is a 60 minute chart, and the red line on the chart is the forecast cycle that was calculated at 8:00AM on June 19, 2017. 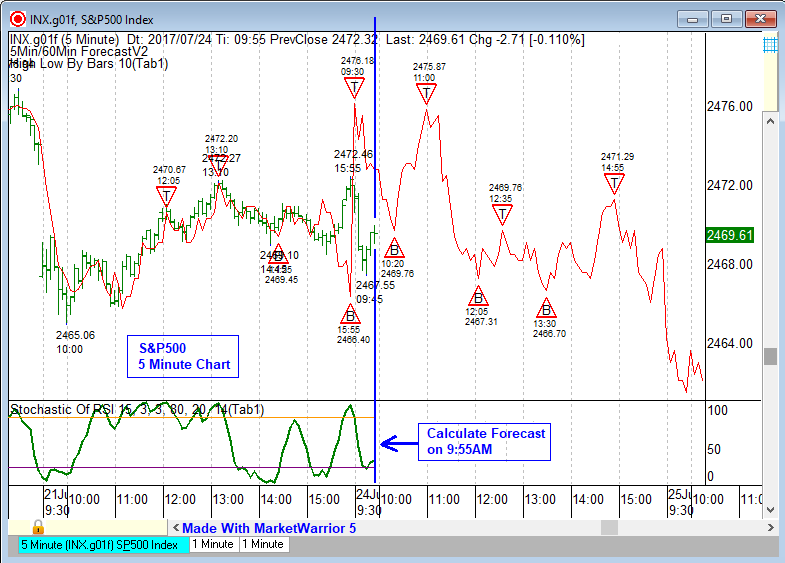 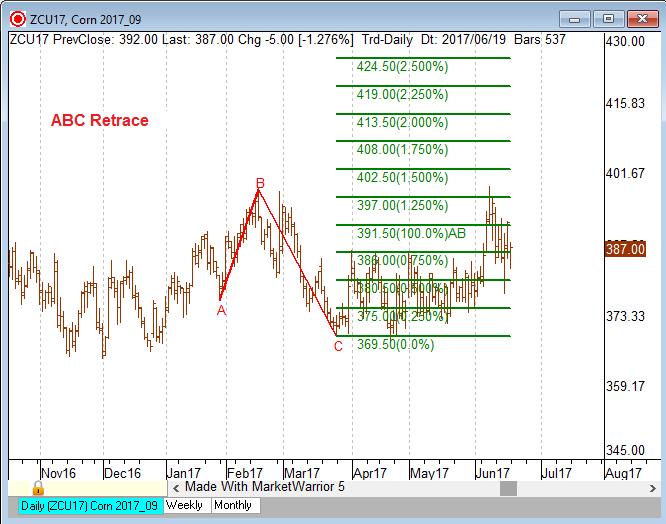 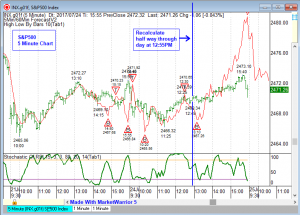 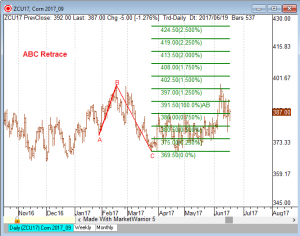 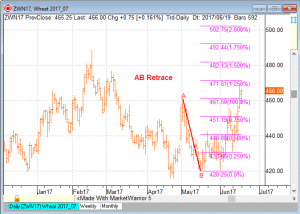 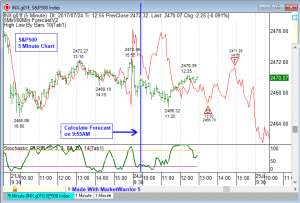 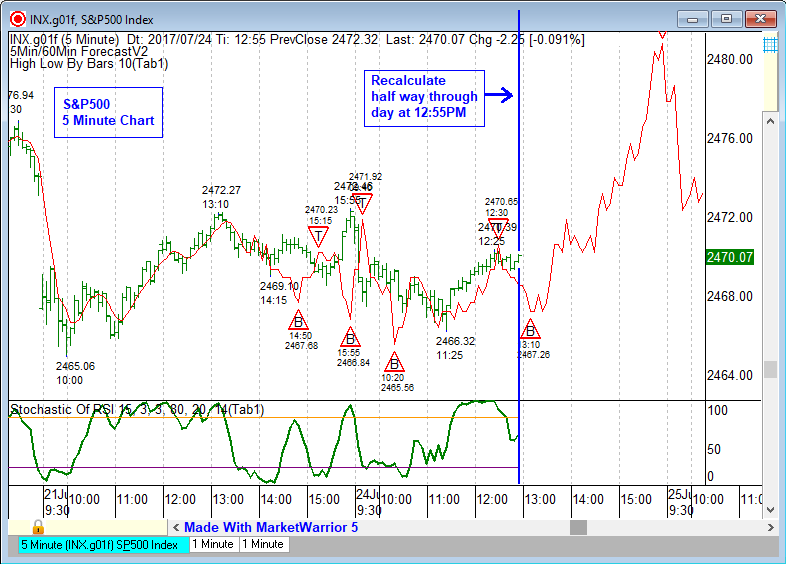 The 60 minute forecast usually will forecast the cycle in a stock index for several days on the 60 minute chart before it needs to be recalculated. 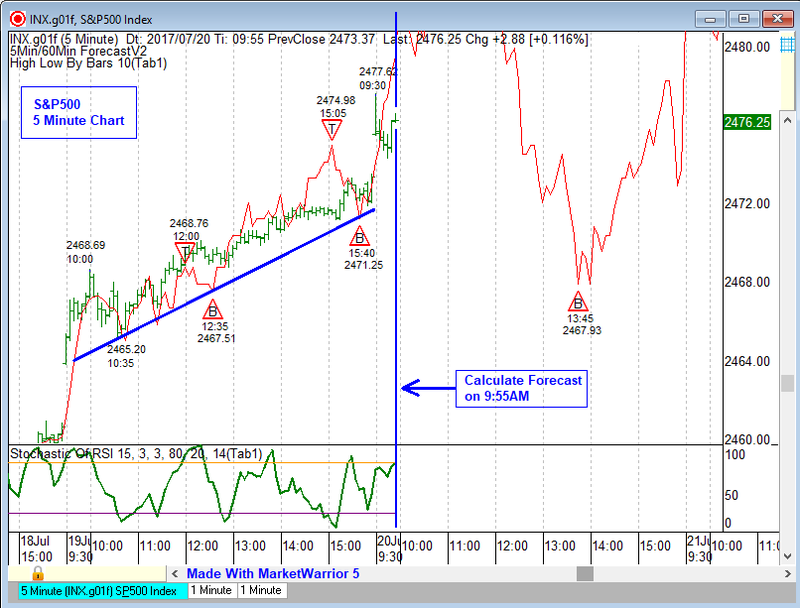 The second chart shows the $SIPR chart about 1 day later. 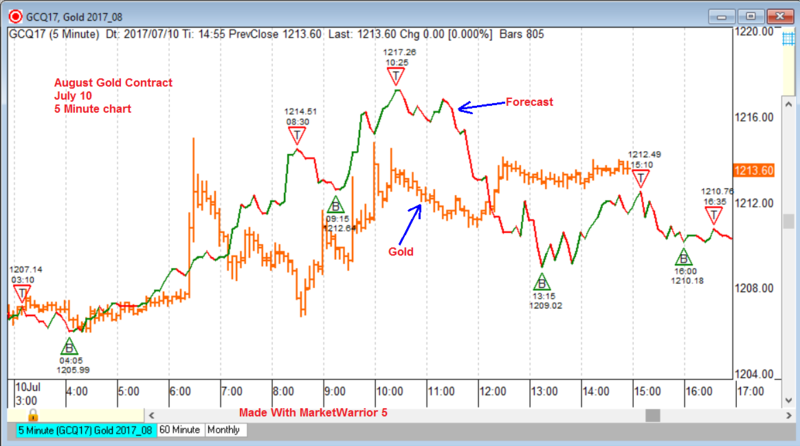 I will follow this forecast for the rest of the week to see how it turned out.